Turmeric is a popular plant known for multiple uses and benefits. Typically known as a spice for cooking curries and a natural, mustard colored dye, turmeric has also been utilized for thousands of years for its medicinal properties. Originally an element of traditional Indian medicine, turmeric has been incorporated into western culture as an alternative to prescription medicine and to support a healthy lifestyle. Here are six reasons why you should incorporate turmeric into your daily diet! Chronic inflammation is a side effect of many western diseases, from heart disease to Alzheimers. Consuming curcumin, an ingredient in turmeric, decreases inflammation and the accompanying pain. Turmeric not only blocks free radicals (molecules behind aging) but also stimulates the body’s own antioxidant enzymes to stall aging and prevent disease. Curcumin also blocks the growth of cancerous cells and much research is being conducted to incorporate turmeric into cancer treatments. Curcumin boosts brain-derived neurotrophic factor (BDNF), a growth hormone that promotes neuron connections, which improves memory and prevents common brain disorders. Clinical trials have also shown that turmeric has similar effects to Prozac in combating depression. Turmeric’s high levels of antioxidants helps maintain skin’s elasticity and youthfulness as well as even out skin tone and hyperpigmentation. Make a haldi paste (1 tablespoon turmeric powder with ½ teaspoon of honey or 2 tablespoons of rosewater) for a restorative facial. The paste works on stretch marks as well! 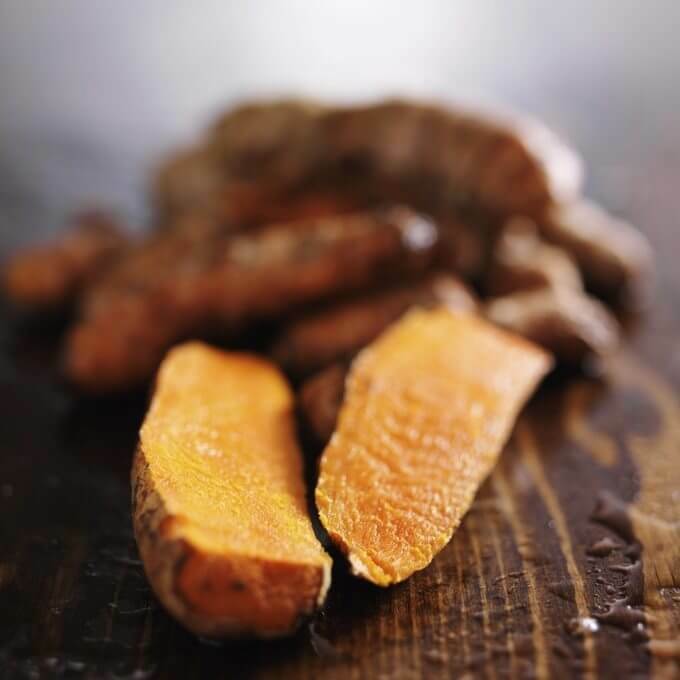 Turmeric rejuvenates the scalp and is a perfect home-care remedy for dandruff, dry scalp, and hair loss. Use as a hair mask before shampooing to leave your hair strong and glowing! Turmeric is often applied to wounds or acne-ridden faces because of its anti-bacterial properties. Mix 1 tablespoon of turmeric powder with ¼ tablespoon of sandalwood powder with small amounts of water to create the perfect paste and apply as needed. Never heard about it before. Will give it a try. Just the first two reasons are enough for me to try it. New discovery. Thank’s for sharing. Oh!!! A spice and a natural medicine. Love it already. Good! Another natural ingredient for my hair. In Love with your topics guys. I’m always learning new things. Adding a new ingredient to my list.